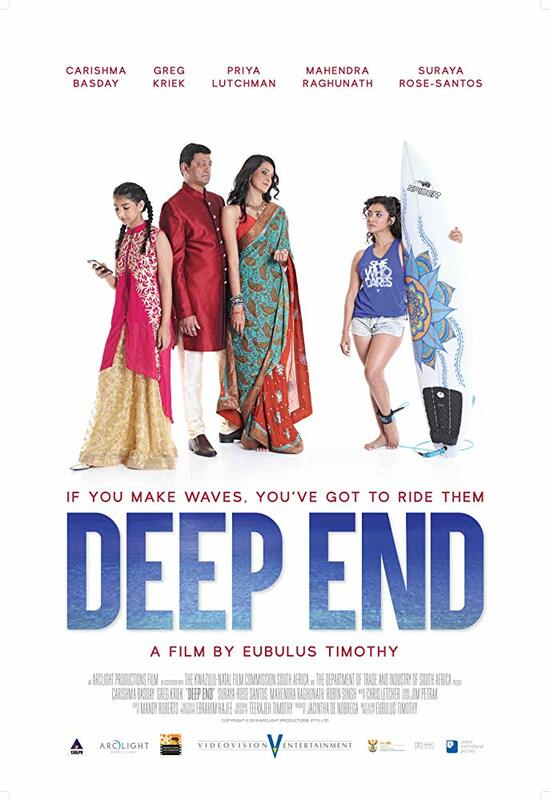 Durban based film director Eubulus Timothy makes superb use of Durban Beachfront in his cross cultural surf drama Deep End starring Carishma Basday and Greg Kriek (The Recce). 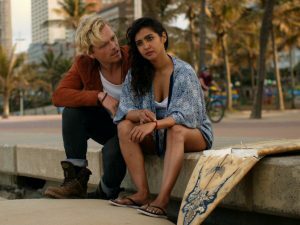 Deep End centres on the story of an independently minded South African Indian young woman who is desperate to escape the clutches of her father played by TV personality turned actor Mahendra Raghunath as she embraces the surf culture of Durban which historically was only made up of young white people. But back to Durban and what better way to show off the city’s miles of beautiful beaches and warm Indian Ocean, by making a surf film set in a city synonymous with some of the best surfing in the world. Deep End is by no means a brilliant film and at times the storyline and script is slightly contrived but director Eubulus Timothy does the best he can with a film that not only shows off Durban’s delightful coastline but focuses on two very fascinating subcultures – the surfing community in Durban as well as Durban’s unique Indian cultural dynamic which is exemplified in the forbidden cross-cultural romance between Corey Taylor and Sunitha Patel. There is also some comic moments thrown in to Deep End and the middle section of the film could have been edited more efficiently. 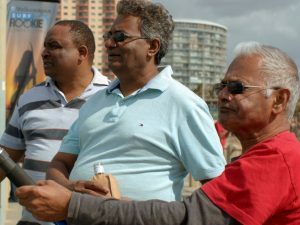 Overall if you want to support South African cinema then Deep End is a fun filled cross cultural surfing movie which fantastically showcasing Durban as a surfing city with beautiful beaches and a superb vibe especially showcasing urban locations including North Beach and the hip Florida Road precinct in Morningside. Deep End is a fun filled surf film and gets a film rating of 6.5 out of 10. Recommended viewing for some light home grown entertainment.